I wouldn’t normally post a walk of this ease or length, but it’s worth taking note of, and the pictures are worthy of sharing. The day after our damp walk up Ben Bhraggie was a surprisingly glorious day, during which we took the opportunity to visit Dunnet Head, the Castle of Mey, John o’Groats and Duncansby Head. 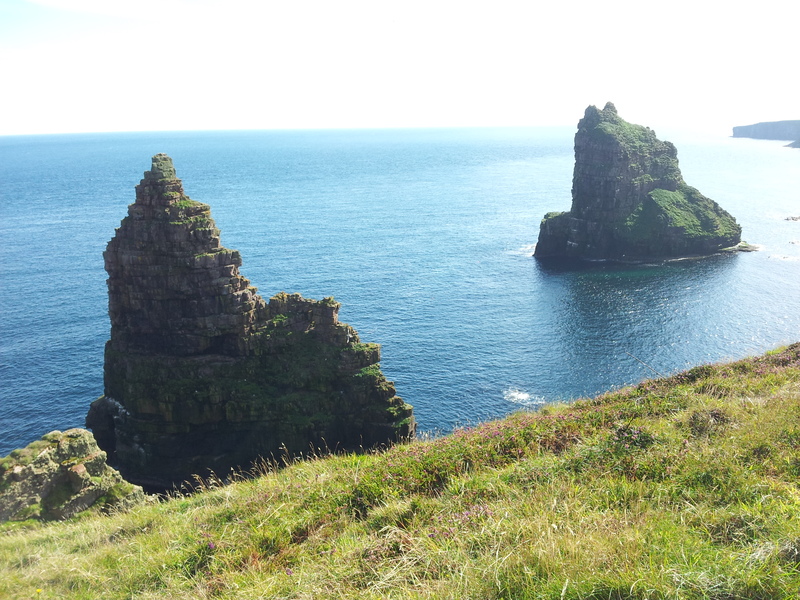 John o’Groats is a bit of a dump but the rest of the places we visited were well-worth the effort. 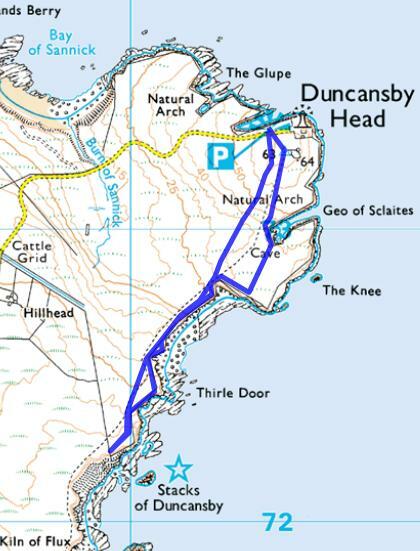 We parked at Duncansby Head with its views over Pentland Skerries to the Orkneys, and followed the crowds (not masses – but enough to follow) over the grassy paths southwards first towards the Gio of Sclaites ( a large inlet showing rock strata, and housing thousands of seabirds). 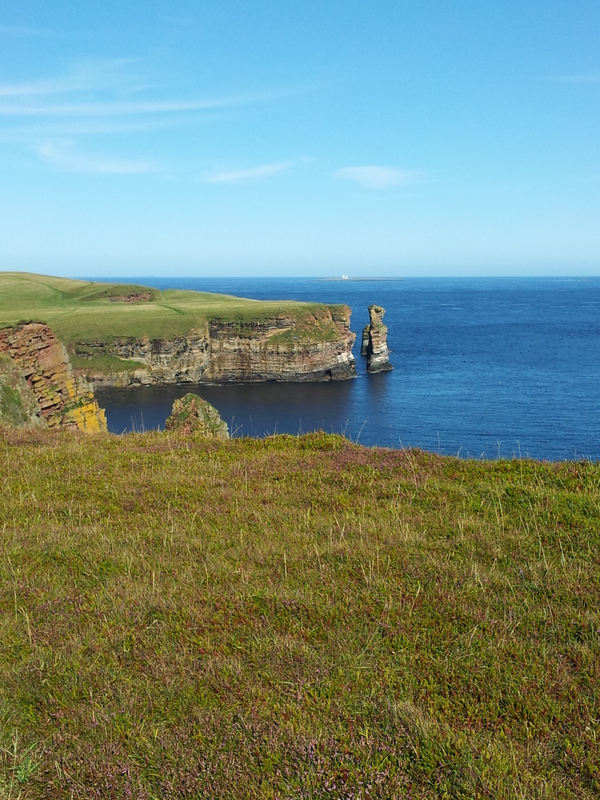 From there we follow the paths further south following the bends of the cliff-tops until we come level with the Duncansby Stacks. We saw a number of gulls and kittiwakes nesting on the stacks and gliding around them, no seals or puffins though. 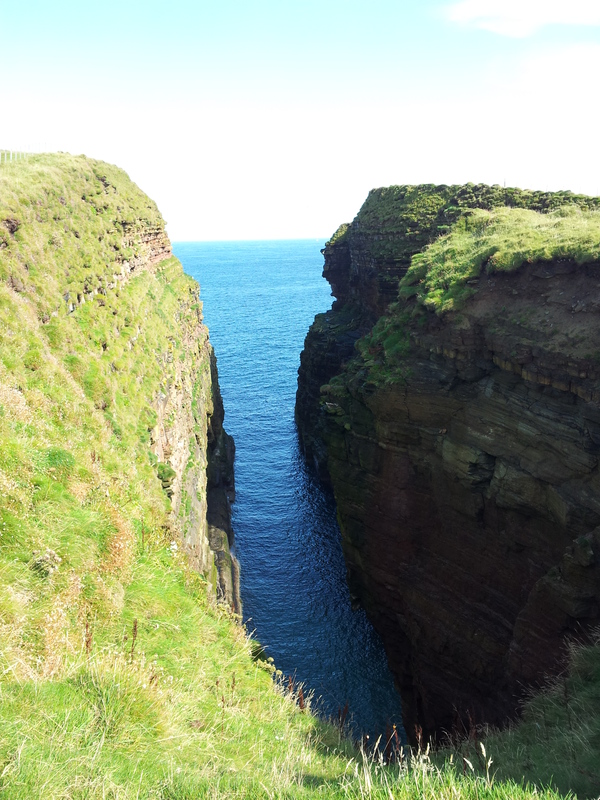 I got the impression one could walk further along the cliff path, but we returned to the car via almost the same rou te.